These inequalities will persist as long as women’s involvement in racing lags behind that of men. The solution? We need more women racing bikes. 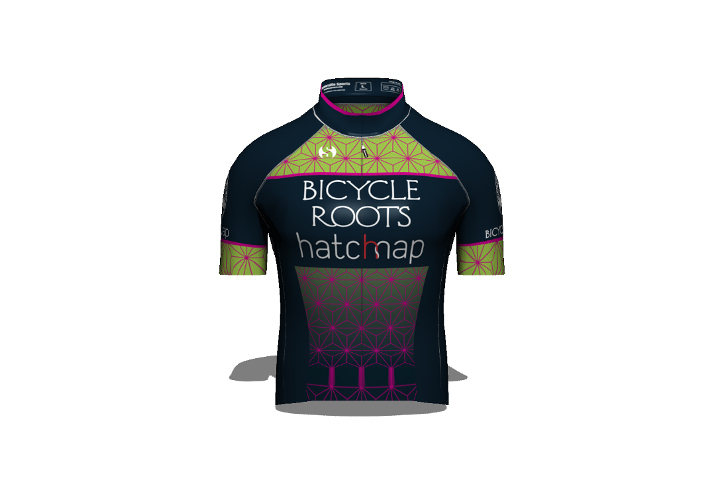 That’s why we’re beyond stoked to announce our sponsorship of a NEW Women’s Road and Track Race Team for 2015: CRCA/Bicycle Roots p/b Hatchmap! 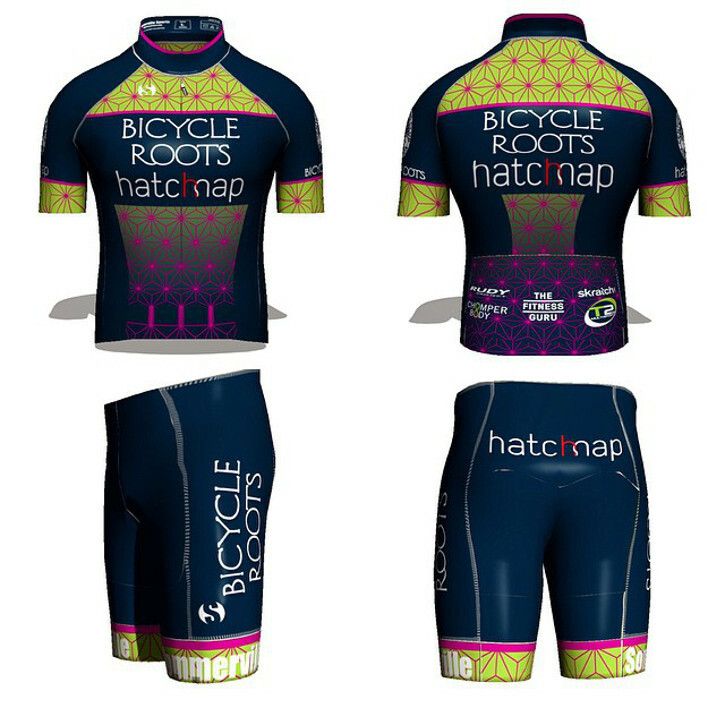 Bicycle Roots/Hatchmap is a women’s development team. The team will promote women’s race development through a combination of team coaching and mentoring by fellow racers. The team is comprised of a mix of experienced racer/mentors, who are all Cat 3 or higher, with at least 2 years’ of race experience, and development riders, who are either brand new to racing or have less than 1 year’s experience. The racer/mentors have joined Bicycle Roots/Hatchmap because they want to share their knowledge with the development riders, as well as to focus on collective team advancement in addition to their own personal goals. How cool is that? Bicycle Roots/Hatchmap will provide its development riders with the coaching and skills necessary to hone both physical abilities and their race strategies, so that they may cat up to the next level of racing. 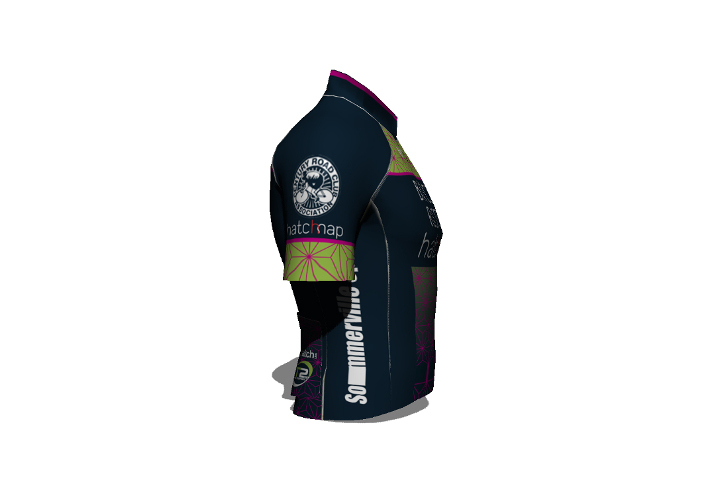 Once a development rider has advanced to the level of Cat 3 or higher, she can decide to either stay on the team as a racer/mentor, or to move on to another team, so that Bicycle Roots/Hatchmap will have room to take on a new development rider. Alie Giaime: Cat 3 road racer, with 3 years of experience. Alie has particular strengths in time trialing and lead outs. She expects to receive her USA Cycling Level 3 Coach certification this winter. Carol-Lynn Mills: Cat 2 road and criterium racer extraordinaire, and a USA Cycling Level 3 coach. Christine D’Ercole: Former USA National Masters Track Champion, and a USA Cycling Level 3 coach. Iliana Rabun-Wood: Cat 3 road racer who excels at criterium racing and track racing. Iliana is a certified by the American Academy of Personal Training. Julie McKenzie: Cat 3 racer with extensive stage and criterium racing experience, and a USA Cycling Level 2 coach. Tara Parsons will coach Bicycle Roots/Hatchmap Cycling to greatness. Tara is a former elite road and current elite cyclocross racer with 20+ years of experience in racing and coaching. 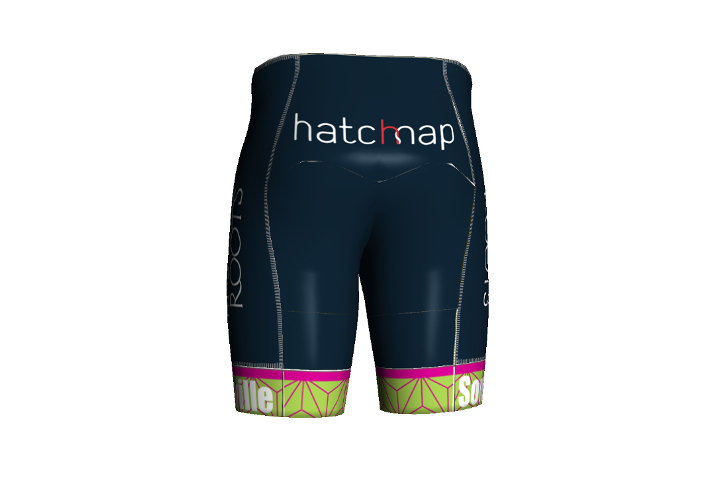 Many of the development riders on Bicycle Roots/Hatchmap have complimentary backgrounds in sports such as triathlon, ultra-endurance, and NCAA Lacrosse. Others have come to bike racing via indoor cycling or social group riding. All of them have an inspiring commitment to push themselves beyond their limits. Welcome aboard! Members of Bicycle Roots/Hatchmap at the end of a fun winter training ride. Left to Right: Julie McKenzie, Lucy Stapleton, Alie Giaime, and Sandy Wasserbach. We’d like to give kudos to team organizers Alie Giaime and Carol-Lynn Mills, as well as to our fellow sponsors hatchmap, Sommerville Sports, Skratch Labs, Rudy Project, T2 Multisport NYC, Chomper Body, and The Fitness Guru! Alie and Carol-Lynn in particular have been absolutely tireless in their efforts to make this team a reality, and we have so much respect for their passion, creativity, and dedication. What motivated you and Carol-Lynn to organize the Bicycle Roots/Hatchmap team? This past year I’ve had the fortune of being a Women’s Ambassador for Rapha. Through leading women-only group rides, I began to meet extraordinary women with an interest in the racing world, but little understanding of what it was about. Carol-Lynn also began to share with me her long-time desire to start a women’s development team. Around the same time, Joe Lawler (of Bicycle Roots) approached me with a desire to sponsor a women’s only Bicycle Roots team. I’d been approached to start a women’s team in the past, but this time seemed right. I finally had the co-leader in Carol-Lynn I desired, sponsors such as Bicycle Roots and Randy Locklair from Hatchmap who shared our vision, and women who were passionate about cycling and racing. From there it all just started to come together fairly organically. What do you hope this team will accomplish in 2015? We are hoping first and foremost that the women will have fun, learn what it feels like to train hard, to commit to something both for themselves and something bigger- the team as a whole- and through this, improve the quality of their lives both on and off the bike. Yes, it’s about bike racing and the mental and physical strength that develops from partaking in the sport, but it’s also about so much more. We are confident we’ll see many of the new racers in time finding success and upgrading to Cat 3 and beyond. So, what’s coming up for Bicycle Roots/Hatchmap? During the off season the team will focus on building fitness for the upcoming road season as well as on team bonding. As they prepare to commence the 2015 race season this March, the team will have weekly Computrainer sessions with T2 Multisport, Pilates and strength training with The Fitness Guru, and training rides/coaching sessions with coach Tara Parsons. When the race season begins, expect to see a strong team presence at 2015 races including: Battenkill, the Women’s Woodstock Cycling Grand Prix, stage races such as the Giro del Cielo and Green Mountain, regional criterium races, the local R&A Women’s Race series in Prospect Park, and at the Velodromes in Kissena Park and Trexler Town. 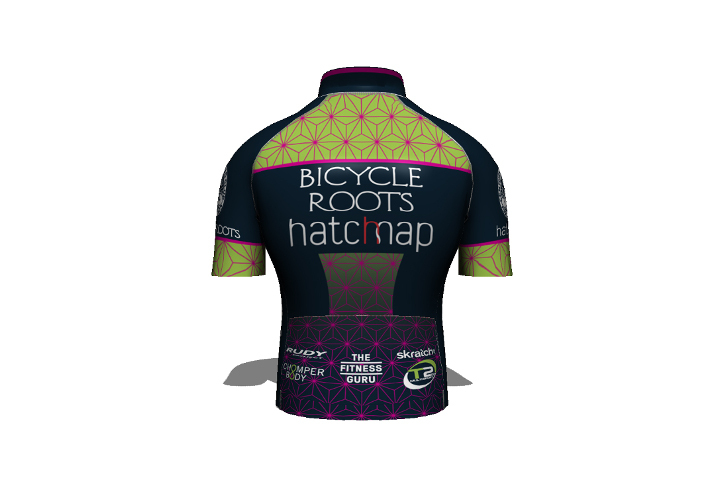 Right now the best way to keep up with Bicycle Roots/Hatchmap- other than going to the races, of course- is to follow their Facebook Page at Bicycle Roots p/b Hatchmap Racing. The team’s official website is coming soon! 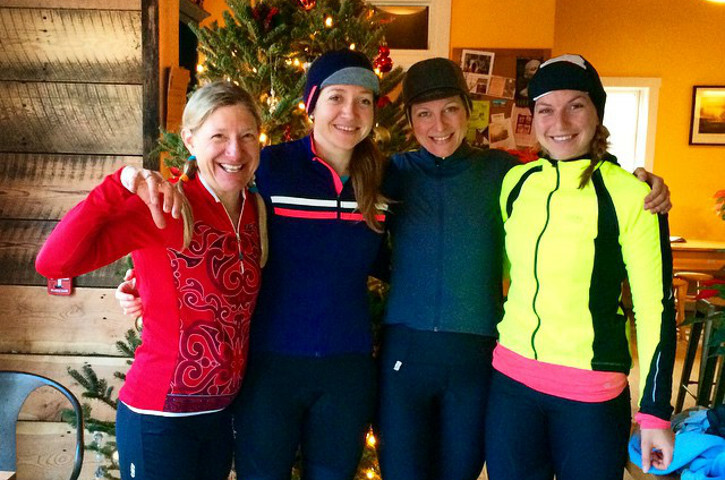 We know that 2015 is going to be an exciting, eventful, and rewarding year for the dedicated ladies of Bicycle Roots/Hatchmap. Join us in cheering them on and breathlessly following their exploits. See you at the races! Bicycle Roots is a full-service bicycle store catering to bicycle commuters and racers alike. We’re dedicated to promoting women’s cycling, and we stock a wide selection of women-specific bicycles. We sell bikes from Giant, Scott, Surly, All-City, Gunnar, Yuba, and Brompton, as well as high quality bicycle parts and accessories to complete your ride. We also provide professional bike repair services. 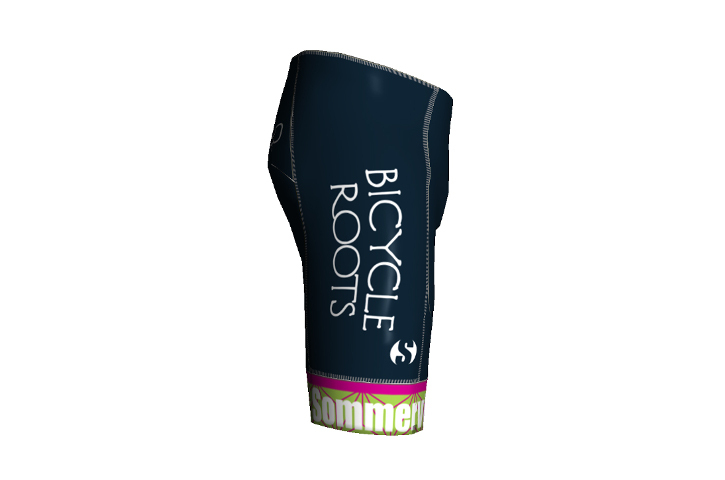 Shop our online store at BicycleRoots.com; orders over $50 ship for free! Stop by our store at 609 Nostrand Avenue, give us at call at (718) 668-5224, or shoot us an email at info@bicycleroots.com. We look forward to being of assistance.